What can we do to counter energy price increase? 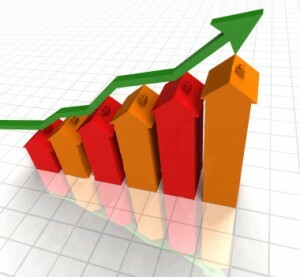 Last October the main energy suppliers in Ireland increased domestic rates by up to 22%. The bad news is the price hikes are on the way again. Following an application by Bord Gais to the Comission for Energy Regulation (CER) in July 2012 it has been announced this week that they have been granted a further 8.5% rate rise. Since privatisation gas rates from Bord Gais is the only thing CER can control. The reasons Bord Gais have given for the need to raise prices is higher gas commodity costs and network tariffs. The most obvious reason for the need to increase is the fact that we import over 90% of our gas from the UK and the Euro has decreased considerably in value against the Sterling over the past year. When contacted Bord Gais, Airtricity and Electric Ireland would neither confirm nor deny that they would will be increasing energy rates across the board but I would be very surprised if this is not announced in the coming days. So we now know that very unit of energy we use from October 1st will cost us more so below see some of the ways we can address the price increases and keep energy bills to a minimum. 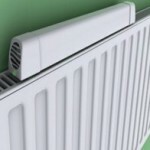 There is many to ensure that you are getting the most out of the heat produced from your radiators. 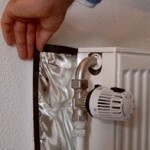 Installing Magnetic Radiator Reflective Foil on the back of the radiators ensure that the heat produced by the rads is reflected back into the room as opposed to lost through the wall. 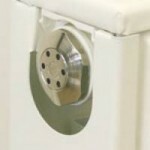 The Radiator Booster is a fan designed to be placed on top of your radiators. When heat is produced by the radiator the fan switches on and pushes the heat into the centre of the room. This means that the room reaches a comfortable temperature faster and ultimately you don’t need to leave the heating system on for as long as you might usually. If you don’t bleed your radiators regularly it means that they will not be working to full capacity and thus adding to your energy bill unnecessarily. It is easy to forget this and unless you are quite organised it probably means a house search every few months for the bleed fitting or another trip to the hardware store to buy a new one.. Automatic Radiator Bleeding Valves will help to optimise the performance of your rads and save you a lot of grief in the process! As the shorter evenings approach energy efficient Natural Daylight Bulbs (bio bulbs) are good for body, good for mind and also good for your pocket. 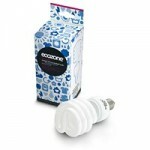 Available in screw in and bayonet fittings and up to 80% more efficient than standard incandescent bulbs. If you like to read in bed but sometimes are guilty of falling asleep before putting the lights out then a Light timer is just what you need. Simply place light timer in bulb socket and place your bulb in the light timer and set it to turn off anytime between five minutes and one hour. If you like the idea of using nightlights you might as well be using an energy efficient type of nightlight. 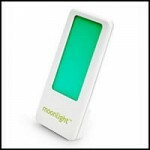 The Moonlight is 4 times more efficient to your standard night light and will add no more than 1 cent per day to your energy bill even if plugged in 24 hours a day. 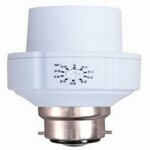 For outdoor security lights why not go a mains free option which will add nothing to your energy bills? 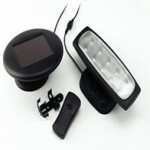 You can go with either a Remote Control Operated Solar Security Light which lights up an area of 9 square metres or a Sensor Operated Solar Security Light with a light range of 16 feet. In the garden you can go with a Solar Spot Light which will effectively illuminate your driveway or pathway at night-time. Producing hot water adds to your energy bill unless you have taken steps such as moving to a solar system to produce it for you. If you could only heat what is required when required it could lead to enormous savings. The Instant Hot Water Tap is estimated to save 70% on your energy bill when compared against using the immersion to heat your water. 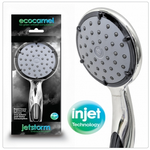 The Ecocamel Jetstorm is an aerated shower head which basically means that it using about half the water of a traditional shower head without compromising the water pressure. Effectively what is coming out of the shower head is half air and half water but nobody will notice this as it will remain a powerful shower. The estimated payback of installing an Ecocamel for a typical household is about 8 weeks. 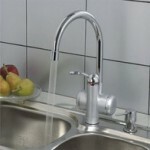 You can also restrict the water flow without compromising pressure with a Kitchen Swivel Tap Aerator or in the Bathroom with Laminar Flow Tap Aerators. Many of you might have been using a plug-in dehumidifier to counter dampness in your home. This tactic leads to the energy meter spinning at a rapid rate. 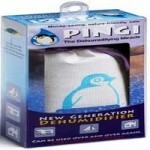 Try a Pingi Dehumidifier which does the work of a traditional dehumidifier without the energy costs. You will have to charge it in the microwave occasionally but it will save on your energy bill. Save energy by cleaning your clothes and dishes at a lower temperature. Simply insert Magno Balls in both your washing machine and dishwasher for great results. Avoid using your tumble dryer and if you do have to use it insert Dry Cubes in the machine. This will help reduce drying time by up to 30%. Regularly clean the coils on your refrigerator and use a Fridge Thermometer to ensure that your fridge and freezer are operating at the right temperature thus ensuring you are not wasting energy. 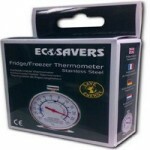 The recommended temperatures to prevent food from spoiling is 2.77°C for a fridge -17.77°F and for a freezer. With a typical energy consumption of about 3KW boiling a kettle can use a huge amount of electricity. The less water you boil the less time it takes and the less energy is wasted. If you only require enough boiling water for one cup don’t boil a full kettle. 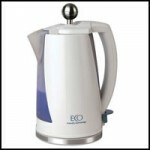 Alternatively invest in an Eco Kettle which has two separate water chambers. Fill kettle to the brim but only release what is required at that point in time to the boiling chamber and see you energy bills fall. As oil prices continue to increase so too has the theft of oil in Ireland over the past few winters. Install either an Irish designed Tanklok or a more technology advanced Watchman Oil Security Alarm to act as a deterrent against possible theft. Counter heat loss and fireplace draughts. 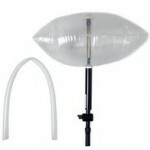 Chimney Balloons were one of the first products we sold at purchase.ie and remain one of our top sellers. Install a chimney balloon in the flue of your fireplace and it helps to prevent heat escaping up the chimney and out of your home. 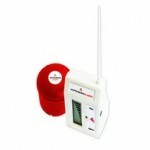 It will also prevent cold draughts from entering your home during the cold winter months. Monitor your Energy Usage Closely. A Plug In Energy Monitor allows you to easily monitor how much energy you spending on an individual electrical appliance. 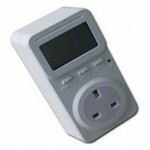 Simply plug the monitor into the wall socket and plug the appliance into the monitor to see what it is costing you. 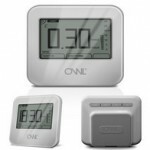 To get a more detailed idea on your total energy usage it is well worth investing in the new model of the Owl Energy Monitor (CM 180) Simply connect sensor to the over-wire at your fuse box and set your rates against your most recent bill. Then use the portable digital screen around the house to access where you are wasting energy and help you decide where to make behavioural changes. use just enough water in the kettle & then make tea/coffee straight away instead of re boiling the kettle how many times before i actually get found to making the drink !